After several years of absence in the Russian market, the Opel car brand, which has moved from General Motors to the PSA Group, is coming back to the country. In the fourth quarter of 2019, the German-made Opel Grandland X crossover will go on sale, as well as Opel Zafira Life minivan and the Opel Vivaro Transporter van, which will be produced at the PSMA Rus plant in Russia’s Kaluga. In the future, the brand range in Russia should be replenished with the Crossland X compact crossover and Combo “heel”, PSA said in a statement earlier this month. Oleg Mastryukov, General Director of car dealership CorsGroup, supposes that the start with sales of crossovers is the right decision and the right strategy, since the SUV segment shows excellent dynamic growth and holds the leading position in recent years. Among the competitors of Opel crossovers, he calls Hyundai Creta, Renault Duster, Renault Kaptur and KIA Sportage. “If Opel sets the prices for Grandland in the same price frames, then the sales of the brand will be probably successful,” Mastryukov told Autostat. In his opinion, it also concerns the Opel Zafira Life minivan and the Combo “heel”. If they are properly positioned then they will be able to occupy their niche. But Konstantin Avakyan, Business Process Manager of AvtoSpetsTsentr Group, believes that there will be no strong excitement around the Grandland X and Crossland X crossovers, and they are unlikely to affect the established alignment in the segment of small and medium SUVs. According to Sergey Novoselsky, the director of marketing of “United Automobile Corporation – RRT”, an important issue for PSA will be the status of the dealer network. The reaching of parameters that were familiar to Opel earlier is unavailable during the next 3-4 years. 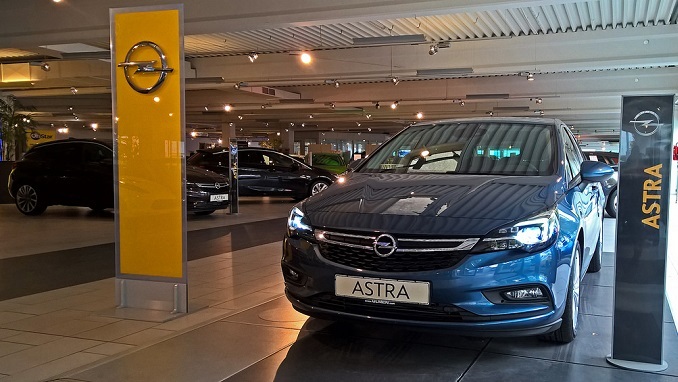 At the initial stage, only 15 to 20 dealers will sell Opel cars, but in the medium term their number will more than double. As Avilon’s Division Operations Director, Vagif Bikulov, said, Avilon AG is ready to consider the including of Opel brand in its portfolio if the importer confirms the brand’s strategic interest in Russia and it will create the infrastructure for the brand’s potential development.